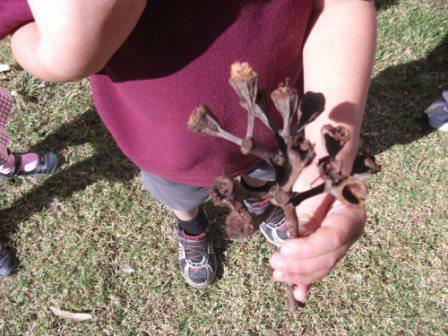 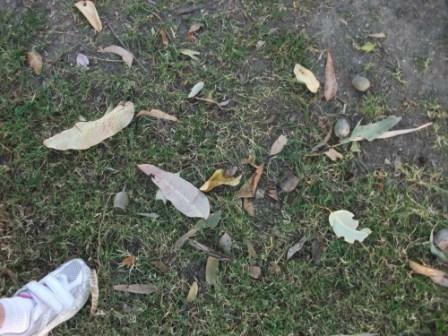 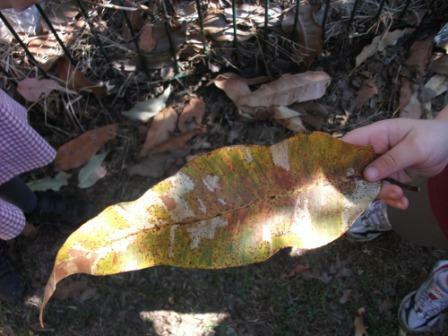 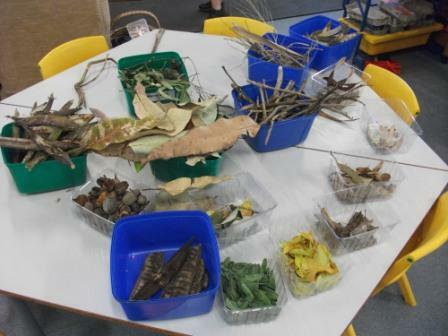 Over a day or two last week, my preppies would enthusiastically show me all the natural materials they had found and collected in the playground during their break times. 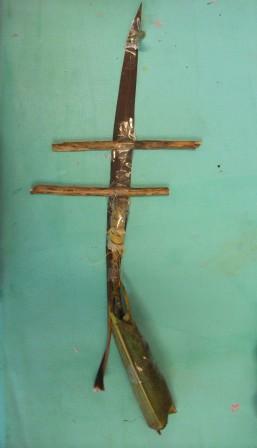 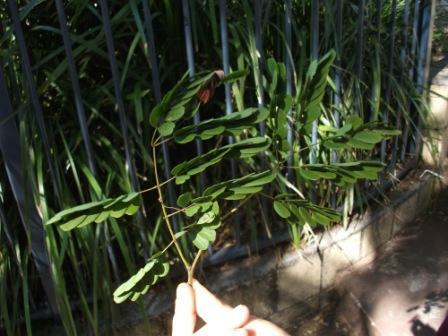 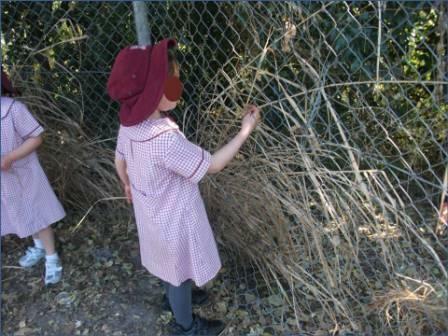 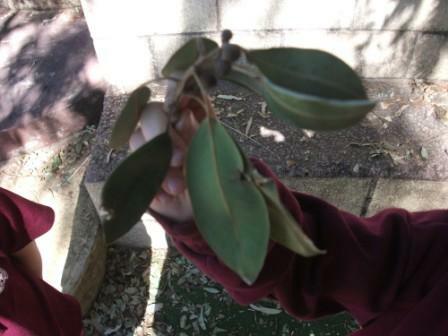 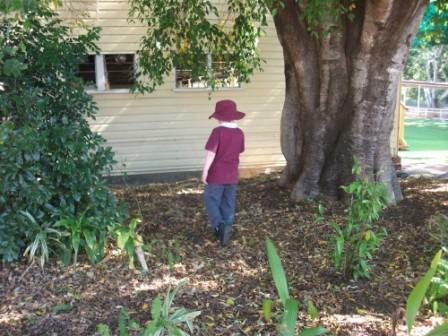 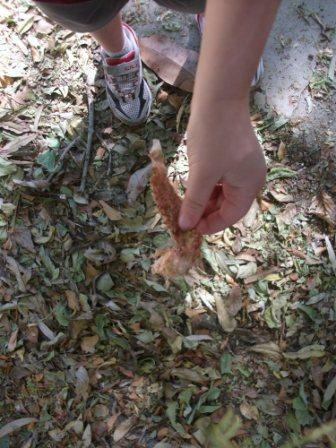 This was obviously something they were very interested in so on the second day, I threw out the plans I had made for the day and we all went on a hunt together to collect natural materials for the classroom. 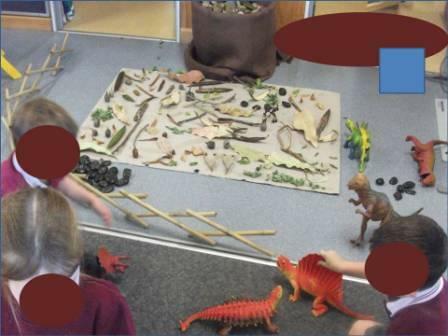 I use the word together loosely as some of the children had favourite places to find things and immediately set off with their friends to collect more objects. 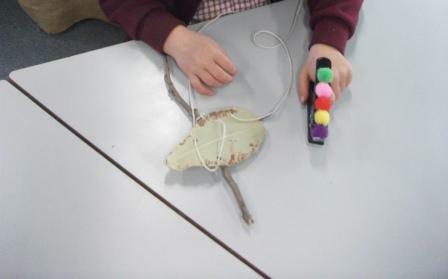 As a teacher this presents a challenge in terms of supervision but sometimes you just have to go with the flow and trust the children to stay within the parameters discussed. 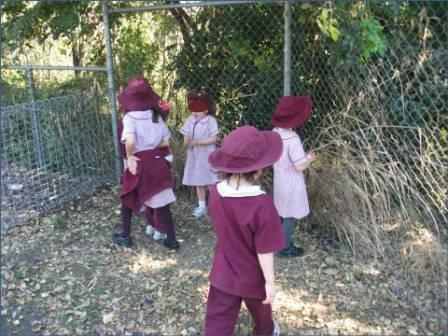 My teacher aide remained within the vicinity of our meeting point with containers for the children to sort and share their finds. 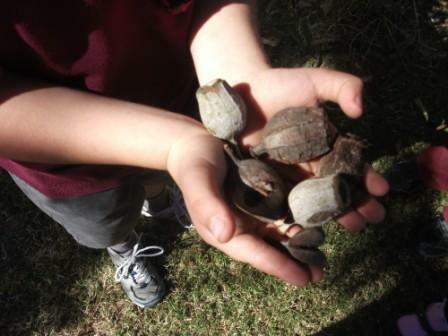 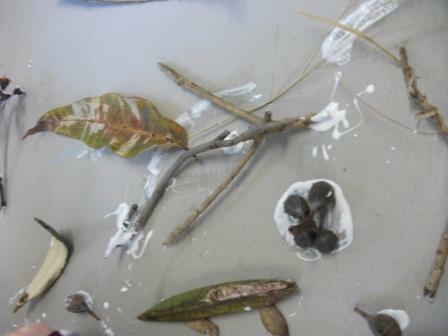 Here are some of the things we found. 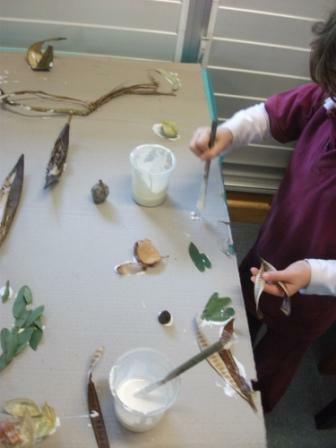 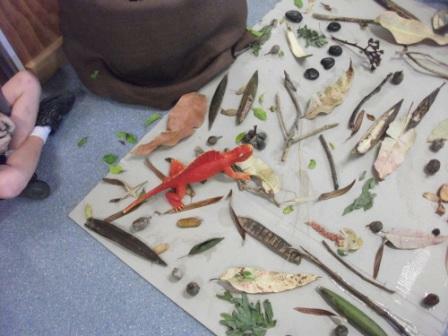 Once we returned to the classroom some of the children decided to make a large nature collage using the materials gathered. 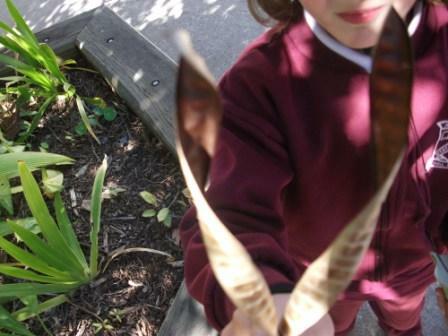 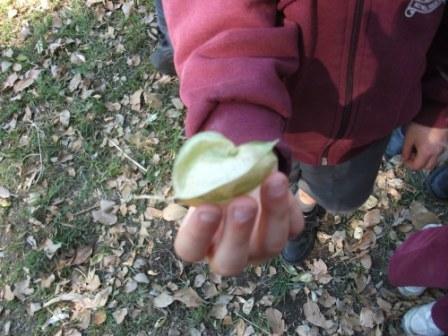 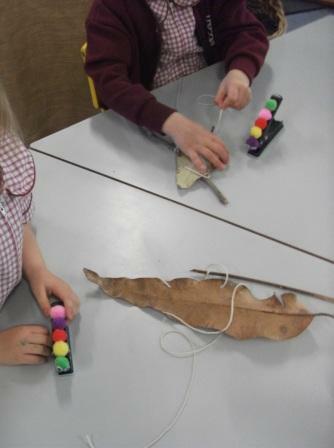 Other children got out our caterpillar hole punches and made nature threadings. 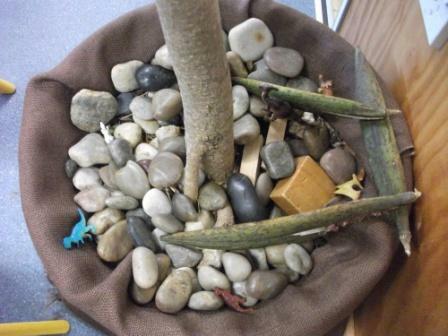 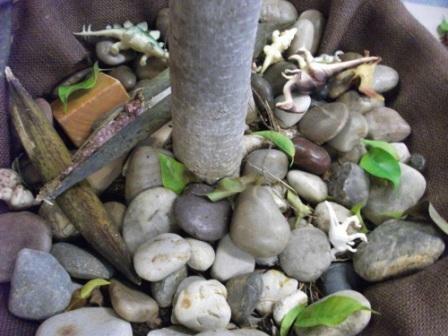 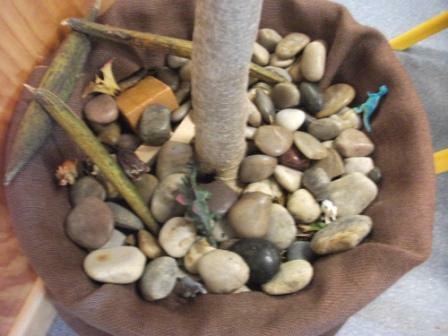 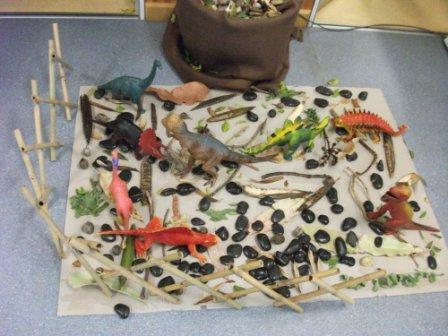 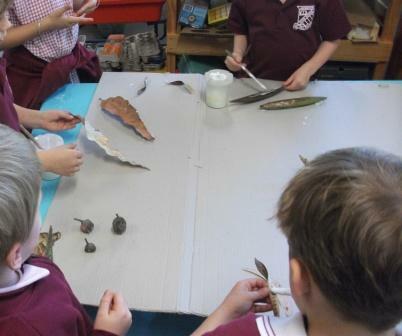 Other children used some of the materials to make a small dinosaur environment. 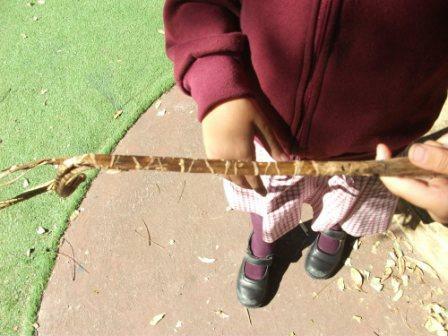 One child used the materials to make a space rocket. 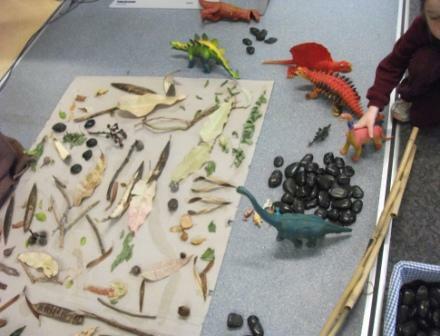 A child negotiated curriculum means you sometimes just have to throw all your careful planning out the window and follow where the children lead. 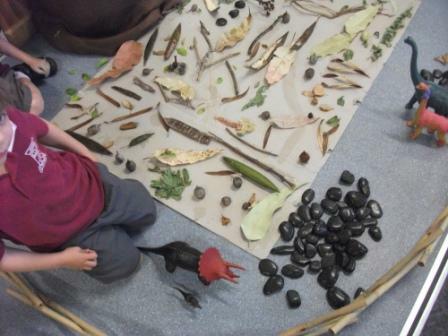 The collage is beautiful! 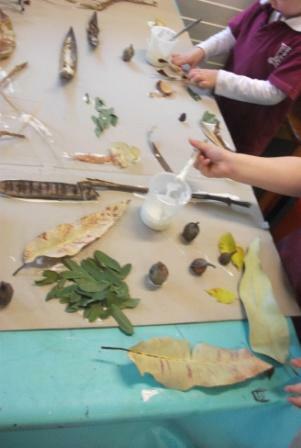 :o) I love child-directed activities. 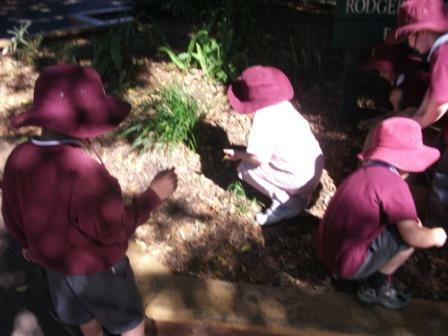 They are often the best and sometimes we learn a thing-or-two ourselves!